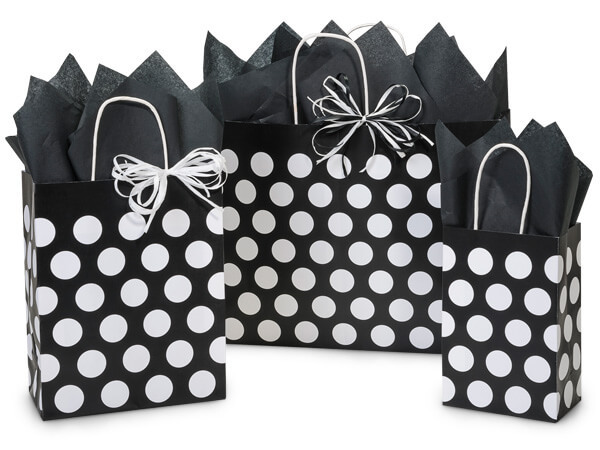 Black Polka Dots Paper Shopping Bag Assortment is made from 100% recycled white kraft paper. Green Way® Eco-Friendly Packaging. 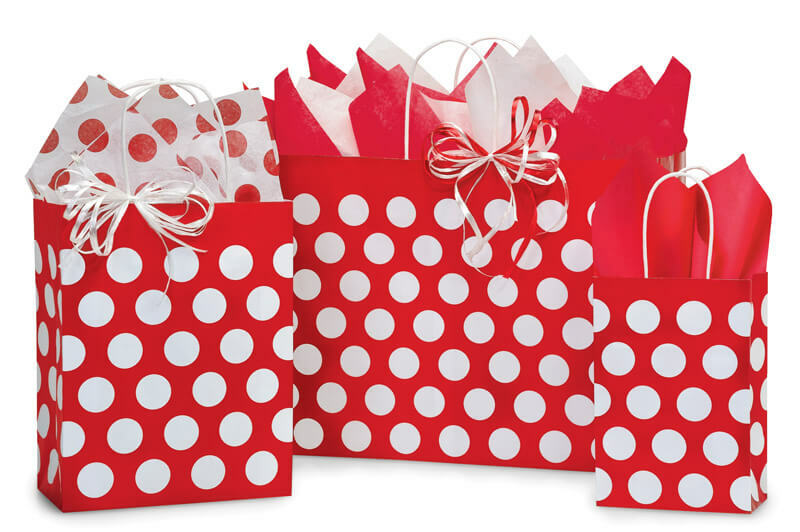 Assortment includes 125 Bags Total - 50 Rose (5-1/4" x 3-1/2" x 8-1/4"), 50 Cub (8-1/4" x 4-3/4" x 10-1/2") & 25 Vogue (16" x 6" x 12-1/2") bags. Made in the USA.